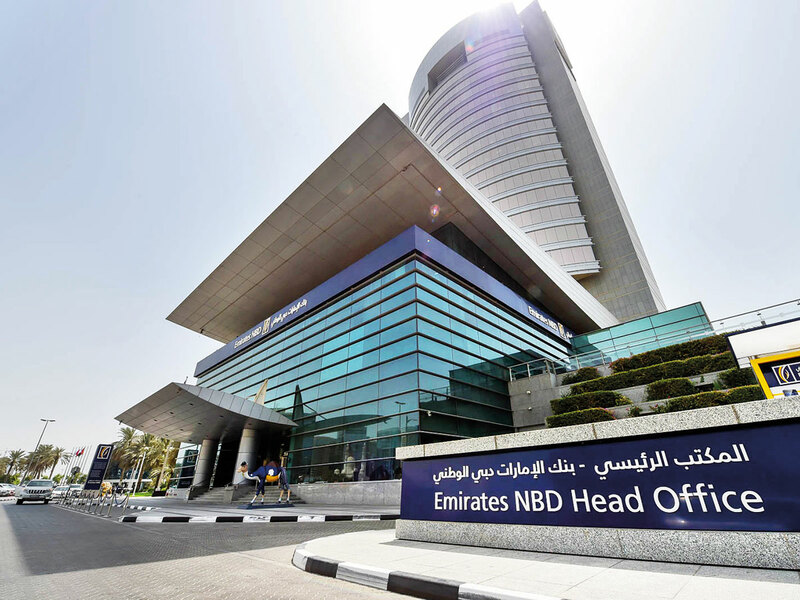 Dubai: Emirates NBD on Wednesday reported a net profit of Dh10 billion for 2018, up 20 per cent year on year. The bank achieved another milestone as total assets surpassed Dh500 billion for the first time. In response to the strong results, the Board of Directors has recommended 40 per cent dividend. “2018 marked another successful year for Emirates NBD with strong income growth leading to a record high net profit,” said Sheikh Ahmed Bin Saeed Al Maktoum, Chairman, Emirates NBD. Despite the increase in overall costs the bank expressed confidence in delivering solid performance. Total income for the year ended 31 December 2018 amounted to Dh17.4 billion; an increase of 13 per cent compared with Dh15.45 billion in 2017. Net interest income grew by 19 per cent in 2018 to Dh12.88 billion due to loan growth coupled with an improvement in margins. The net interest margin increased in 2018 helped by rate rises. “Emirates NBD delivered a record performance in 2018 as net profit increased by 20 per cent underpinned by higher income and a lower cost of risk. Margins widened 35 bps in 2018 as rate rises flowed through to the loan book which more than offset a rise in funding costs,” said Group Chief Executive Officer, Shayne Nelson. Non-interest income declined 3 per cent during the year due to lower income from investment securities as a result of an impairment provision on a private equity fund holding. Costs for the year ended 31 December 2018 amounted to Dh5.62 billion, an increase of 16 per cent over the previous year due to higher staff and IT costs relating to the bank’s digital transformation and technology refresh. Costs were also higher as a result of international branch expansion, VAT, advertising and Expo 2020 sponsorship. “We continued to expand the bank’s international presence in 2018 by growing our branch network in the Kingdom of Saudi Arabia and Egypt. We are confident that our prudent business model shall continue to deliver a solid performance,” said Hesham Abdulla Al Qassim, Vice Chairman and Managing Director, Emirates NBD. The cost-to-income ratio at 32.3 per cent, remains within guidance of 33 per cent as the bank continue to invest in digital capability and product enhancement to serve our customers. During 2018 the Impaired Loan Ratio improved by 0.3 per cent to 5.9 per cent. The net impairment charge of Dh1.74 billion is 22 per cent lower than in 2017 helped by recoveries from legacy loans. This net provision includes Dh1.63 billion of write-backs and recoveries, and together helped boost the coverage ratio to 127.3 per cent. Loans and deposits increased by 8 per cent and 7 per cent respectively during 2018. The advances to deposits ratio remains comfortably within management’s target range at 94.3 per cent and the liquidity coverage ratio is at a healthy 195.3 per cent. During 2018, the bank raised Dh8.2 billion of term funding through a mix of public issues and private placements with maturities out to thirty years. Term funding represents 10 per cent of total liabilities. The bank renegotiated an existing funding facility at more competitive pricing, extending it to 2021 and upsizing it to $2 billion. As at 31 December 2018, the Bank’s Common Equity Tier 1 ratio is 16.6 per cent and total capital ratio is 20.9 per cent.